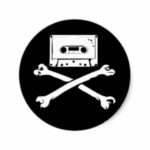 Pyrate Radio – Tunes for Liven’ The Dream! Mid-20th century radio pirates broadcast Forbidden Rock-n-Roll, Soul, and Jazz from ships at sea or hidden locations ashore… And forever changed Music, News and Information. 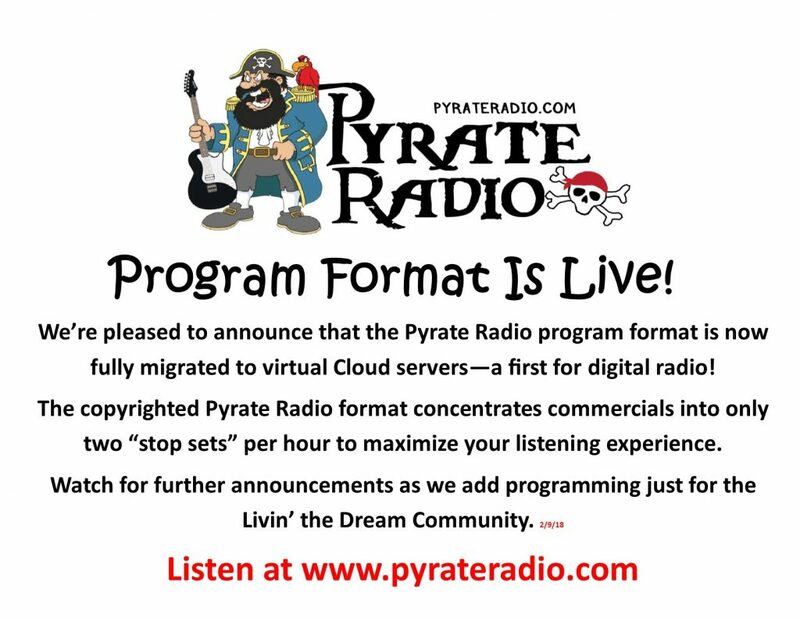 Now, Pyrate Radio will rock the world again, riding the wave of Digital HD radio! The PYrate Radio crew has a world of talent in broadcast and music. PYrate Radio is following the proven broadcast business model, now enhanced to deliver programming to a worldwide audience with state-of-the-art cloud-based technology. Click Here to here for more info. Listen Live to PYrate Radio HD! Our Last 10 Toe Tapping Tunes! Pyrate Radio is a gathering place for fans of ‘Trop Rock’ and boat songs. Pyrate is not a ‘choose-your-song’ streaming service, but rather the work product of some of the best radio Program Directors and station managers in broadcasting. Over 90% of Americans and Europeans frequently listen to broadcast radio, encouraged by the worldwide migration from FM to HD digital broadcast. This shift is complete in Europe, but just beginning in North America. Pyrate Radio programming is designed to provide HD Digital programming to broadcasters. Programming is delivered entirely through the ‘cloud’ for high reliability. The Pyrate Radio crew has a world of talent in broadcast and music. Pyrate Radio is a proven broadcast business model, but deliver programming in a new, musician friendly way. Click here for here for more info. 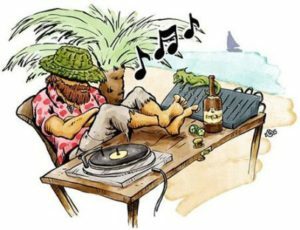 Pyrate Radio is owned and operated by experienced sailors, real radio guys, and those “Living the Dream” and loving the music. Pyrate Radio is rooted in the success of Tradewinds Radio, a proven program provider and developer of Caribbean radio stations. Pyrate is a major leap forward with the implementation of cloud-based technology and quality designed for major market broadcast. The Pyrate Radio project started with a crowdfunding at Fundable (www.fundable.com/pyrate-radio ). The project reached the money goal a week early and was oversubscribed with 159 individual Backers. Most Backers are friends of Cruising Outpost Magazine (www.cruisingoutpost.com ), the Eric Stone Band (www.islanderic.com) , and fans of Tradewinds Radio (www.tradewindsradio.com ). Visit our crowdfunding site here. Mail to Pyrate Radio Inc.